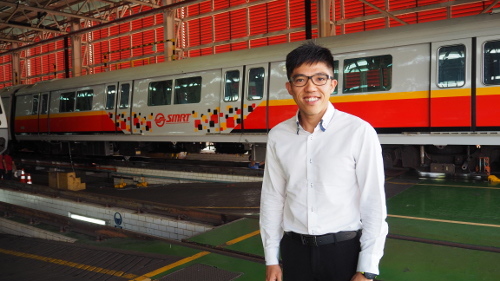 Much has been said about SMRT – in the news, on social media, at family dinners. Whether or not the remarks are fair and balanced, we take them all in our stride. There is always room to learn and do better. 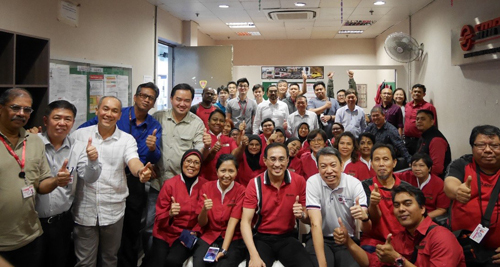 That’s our SMRT spirit; we are always striving for excellence. We have much work to do. Each day, our trains travel altogether nearly twice around the equator. Most days, they do so without a single delay lasting more than five minutes. On those occasions when operations are disrupted, our service teams put aside whatever they are doing and rush on scene to attend to our commuters. After midnight, when commuters are asleep, we are still working – checking, repairing and ensuring that the trains and tracks are in good order to start service again at the break of dawn. Thank you for putting in your best effort – 24 hours a day, 365 days a year. It is hard work, often unnoticed, but you do it with passion and purpose. More than three million passengers ride on our trains and buses daily. Many of them are most appreciative of all that we do. They stand behind us. Singaporeans depend on us daily for a safe, reliable and comfortable journey. We must not let them down. Let’s show everyone that we still stand tall and proud, committed to our cause. We belong to a great company, built over 30 years and serving the vital mission of moving people, enhancing their lives. We are well on our way to achieving all our goals, especially the one million in mean kilometres between failure (MKBF). When we do, and we will, it will be because of you – each and every one of you.